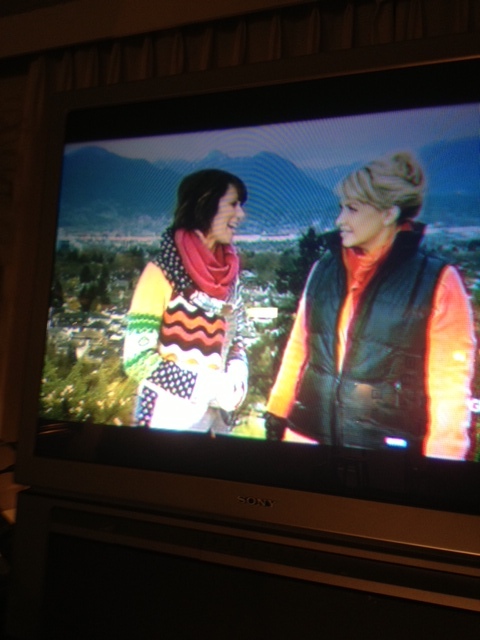 Entertainment Tonight Canada reporter Erin Cebula appeared on TV last night wearing a multi-coloured knit sweater made by Desigual, which is available at Angel Vancouver. 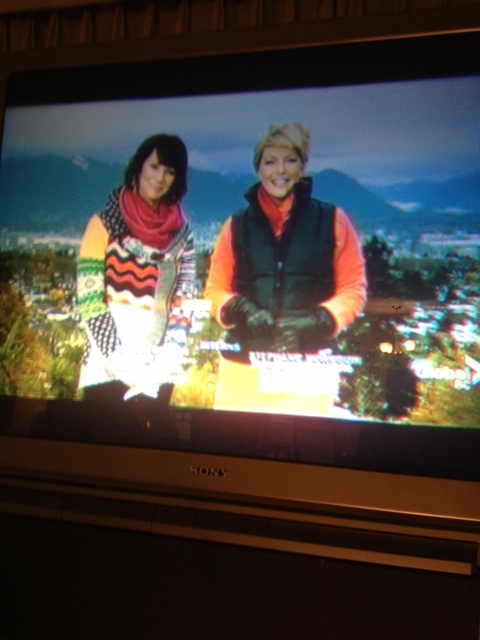 Cebula wore the sweater during a stand-up segment of the show with host Cheryl Hickey filmed at Queen Elizabeth Park in Vancouver, with the North Shore mountains as a backdrop. 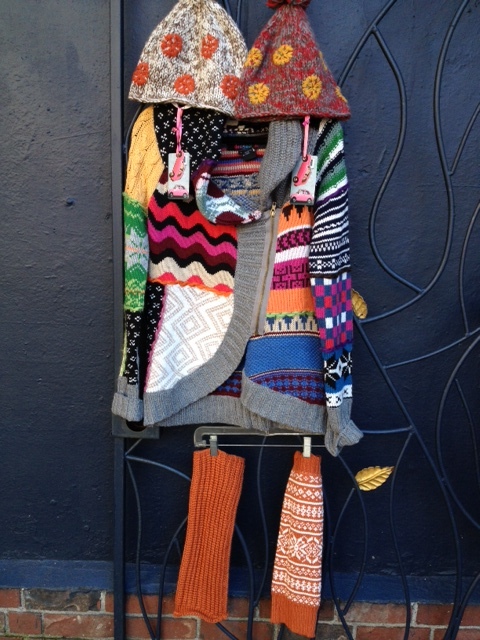 The Desigual sweater (called Lara) is available in a variety of sizes at Angel, located at No. 2 Powell Street in the Gastown district of Vancouver B.C., right in Maple Tree Square. We have one of the largest collections of Desigual in the city, for both men and women. This entry was posted in Desigual and tagged Angel Handpainted clothing, Desigual, Desigual Canada, Desigual in B.C., Desigual Vancouver B.C., ET Canada in Vancouver, Gastown, Lara Desigual sweater, Pink Martini hats and leggings. Bookmark the permalink.